When I was little, one of my favourite things about breakfast time was eating cereal to get to the toy. Sometimes my brother and I were vying for the same toy and it was an anxious experience waiting to see if the coveted toy landed in one of our bowls. This spring, Canadian families will experience that delight again as they open specially-marked, family-size boxes of Kellogg’s cereal with one of five collectable Cereal & Milk Spoon Straws inside! 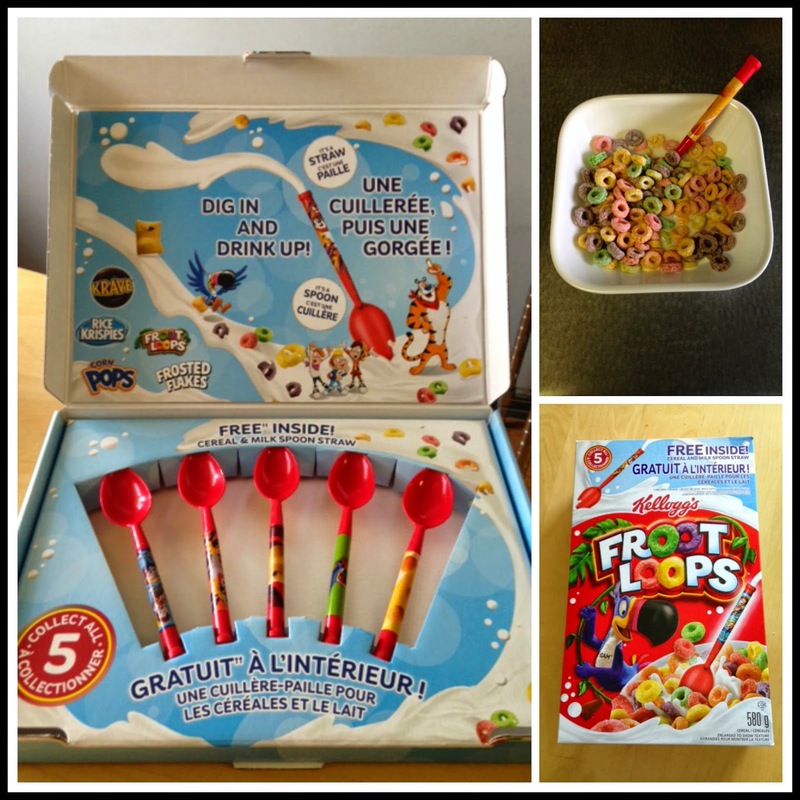 I was sent a box of Froot Loops (winning the cereal lottery) and all five spoons. Clearly the spoon with Toucan Sam is my favourite. The spoon can be used as a spoon to eat the cereal, and then as a straw to drink the leftover milk. (I tend to like a bit of cereal with a lot of milk, so this is great for me). The Cereal & Milk Spoon Straws are in specially-marked family-size boxes of Froot Loops, Krave, Rice Krispies, Corn Pops and Frosted Flakes for a limited time - so pick yours up at the grocery store soon! Do you have a cereal surprise story?